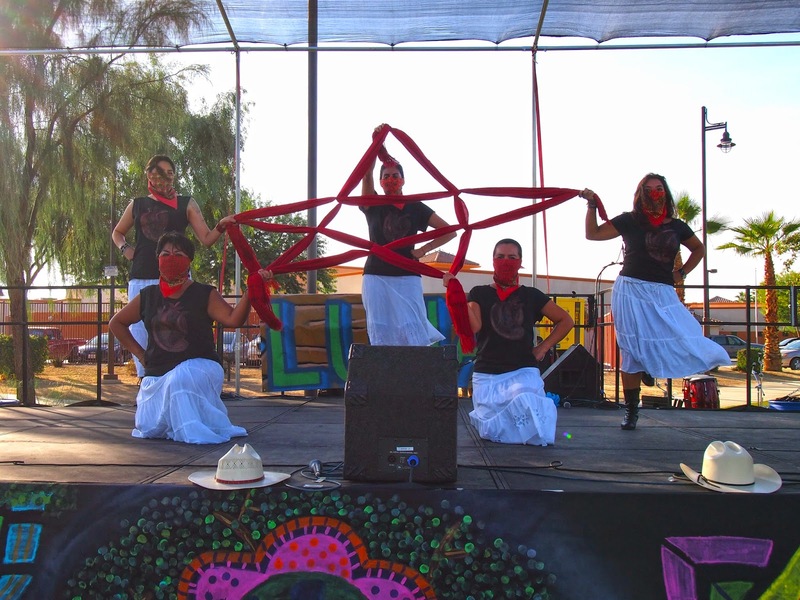 Folks from Culturas were kind enough to provide the Crisalida team a space, tents, chairs, and food for the duration of the festival. 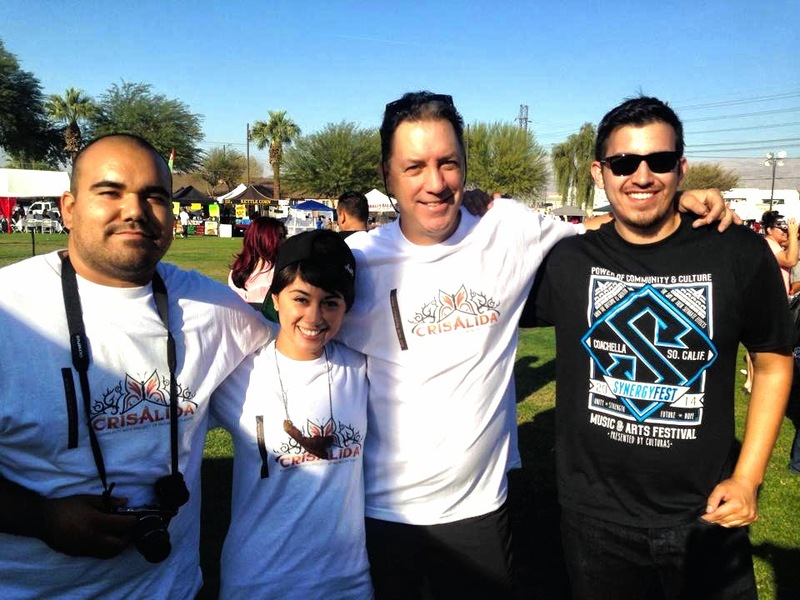 The Crisalida team was provided the capacity to execute their first Story Corps inspired project at the outing. Weeks leading up to the event, the manager, spiritual leader, and face of Crisalida, David Gonzalez related “we don’t know what to expect at The Synergy Festival,” but that this event would be a great opportunity for Crisalida to get it’s feet in the water and get an idea of what obstacles and possibilities may lie ahead for the organization. Initially the Crisalida team seemed somewhat disillusioned. From 10:00AM until 1:00PM a few local natives curiously came up to the Crisalida tent intrigued and inquisitive about the project, but not necessarily interested in participating in sitting down and talking about themselves. Folks were setting up tents and food stands at Dateland Park as early as 8:00AM, but the festival itself started around 10:00AM. Not until a little after 1:00PM did the Crisalida team get their first willing participants, a valley mother and her son. 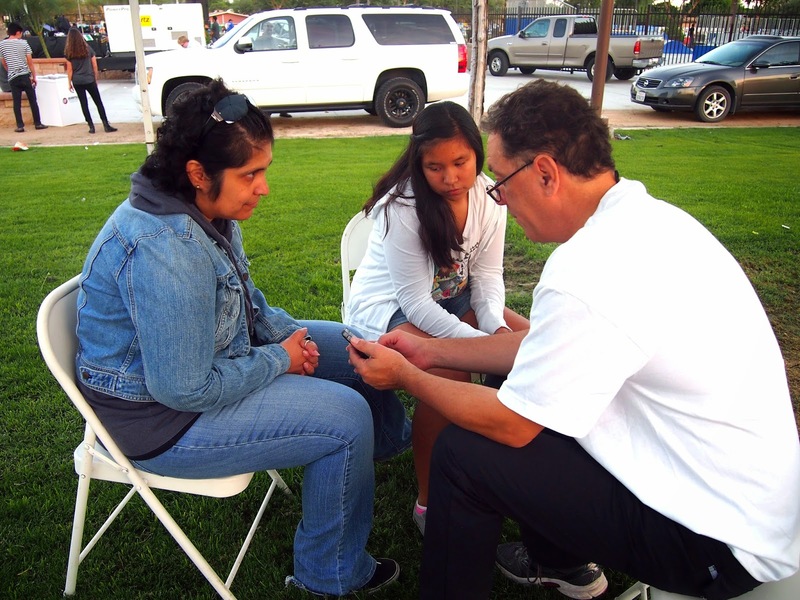 After breaking in the recording equipment and capturing their first story, more people began rolling in and signing up. It was not unexpected, since the team did not exactly know what to expect, but by sundown the folks from Crisalida were all somewhat elated to discover that about nine to ten folks had decided to sit down with them and relate little gems about their lives in the form of stories, to Crisalida and to each other. The Crisalida team prepping two potential storytellers for an interview at the interview tent. 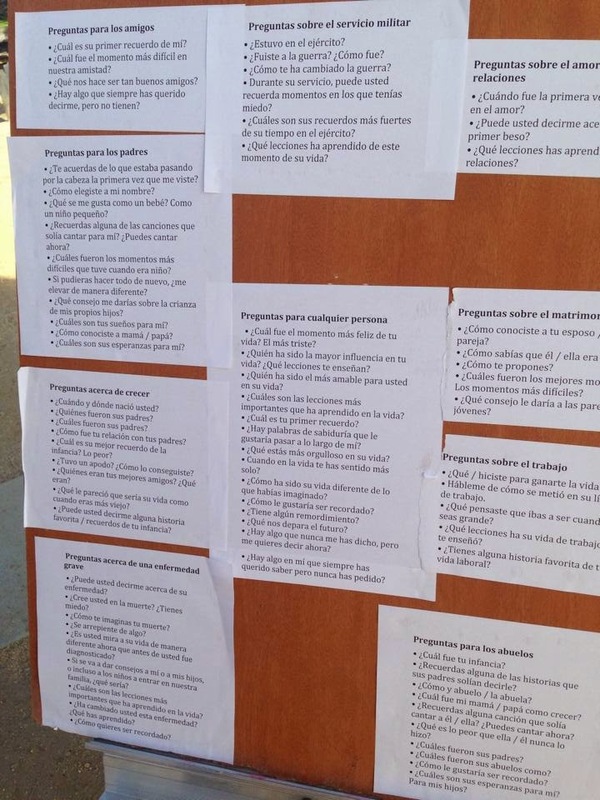 A brief description of the process on how Crisalida documented stories at the event may be described as follows: folks interested in participating in our storytelling project would be briefed ahead of time on how the interviews would take place. 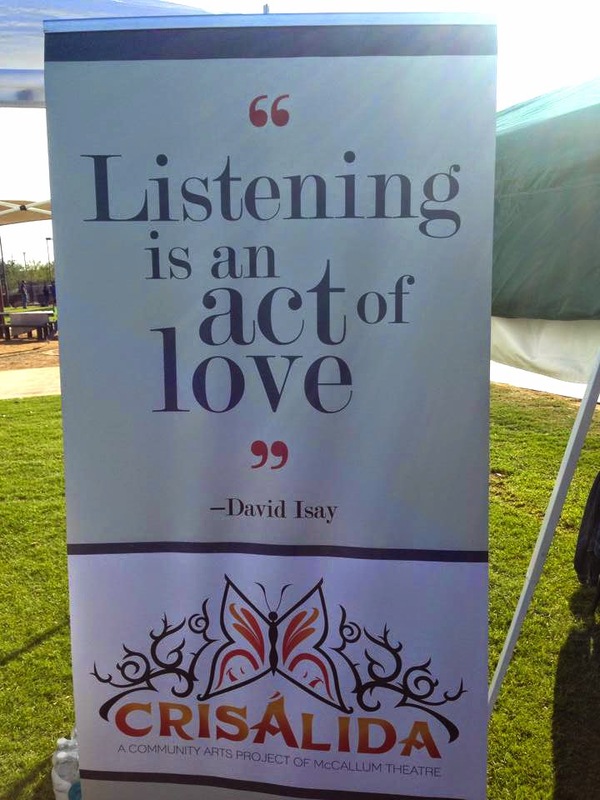 Then Crisalida team members would follow by getting their contact information before walking them to a separate tent we had setup at the fringes of the park where the festival took place. There, the team would be able to record the audio with less noise pollution from other activities going on at the time. At the recording tent there was over 80 starter questions on display and available to the participants, the team would suggest to participants that they select at least three or five questions to ask to each other. Once ready, everyone except the two participants, and an audiovisuals technician, would stay at the tent to record the participants as they shared each other’s experiences through an active dialogue. At Synergy, there was a great turnout and participation! Some really incredible, moving, and inspirational stories were collected. 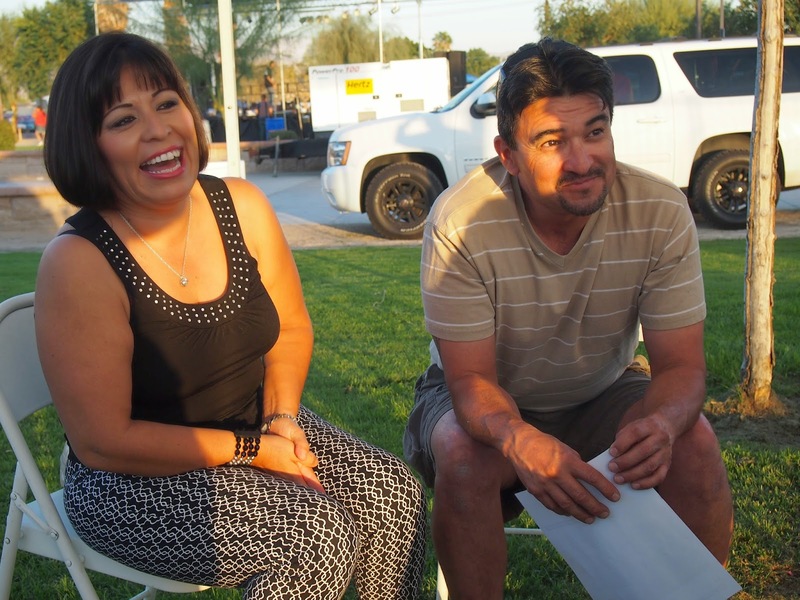 The Crisalida team documented folks predominantly from Coachella, but not limited to Indio, Thermal, Mecca, and other communities pertinent to the Coachella Valley. This in hopes to capture a picture of what life is like in the valley, and take the pulse of the community by sharing each other’s experiences, discovering something new about ourselves, our environment, by giving back the gift of storytelling to those folks who participated. From the day’s turnout and participation, it’s not farfetched to conclude that Crisalida has the capacity to walk through many doors; the possibilities for this project are brimming with opportunity. At the event the team managed to secure contacts and build a rapport with artists, community leaders, healers, and educators such as: Veronica Cordova, who helps empower people with disabilities via the Community Access Center; The Center for Domestic Violence; writer and producer, Trino Martinez; local graphic artist, Josue Miramontes; hair stylist and fashion enthusiast Belen Cortez; the dance group “Mujeres en Resistencia;” Hip-hop performer RowLow, and other young folks from the local hip-hop community; and a handful of other individuals who expressed a desire to work with the Crisalida program in the future. Special thanks to the folks at Culturas for putting this event together! 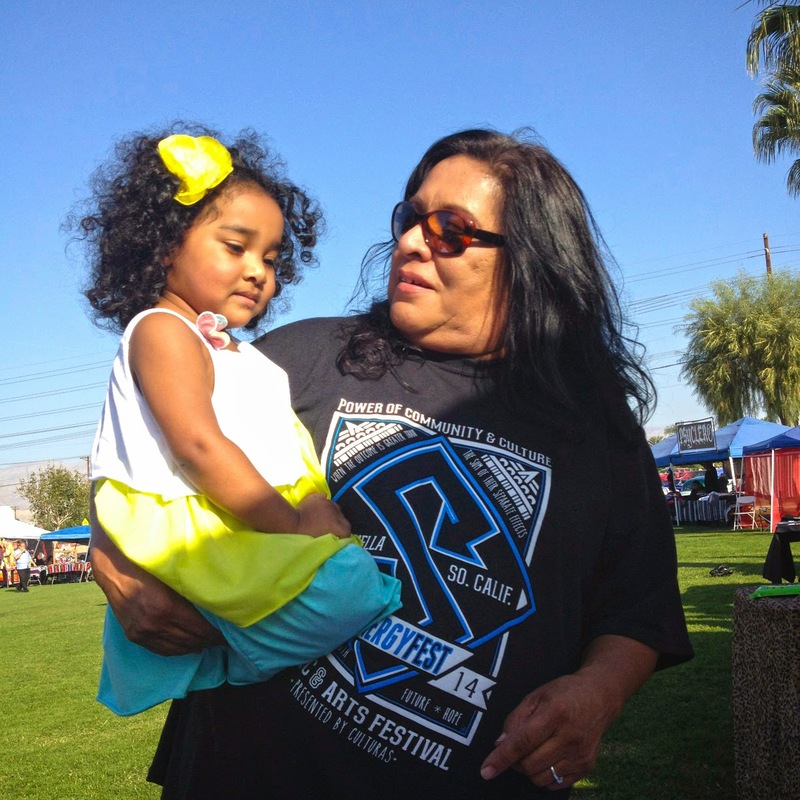 A shoutout to Culturas board member, Yaya Ortiz, for helping us put this event together. Thanks to the venerable brother from Aztlan, community leader, and Culturas board member, Pepe Rivera, who shared some of his experiences and wisdom with the Crisalida team. Also, praises to the city of Coachella for allowing activities like this to happen in their hometown. To all the youth, the chavalitos and chavalitas who came came out to take part in this event, to all the performers, lowrider and classic car enthusiasts (Los Viejitos), artists, educators, motivators, and all the other folks who went unnoticed here, from Crisalida to you, thank you for coming to this event.